Lance Berkman may not like the plan to move the Astros to the American League, but the team’s current owner is OK with the switch. And back in 1960, the ownership group that brought Major League Baseball to Houston didn’t care which league it was placed in; they just wanted a team. The Houston Sports Association, of which [George] Kirksey is the executive secretary, is a twenty-man group. 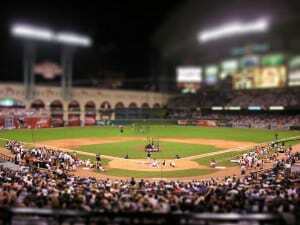 No city is better prepared to introduce big league baseball than is Houston, Kirksey said.